If you’re new to the gym, the last thing you want to draw attention to is the fact that you’re new to the gym. 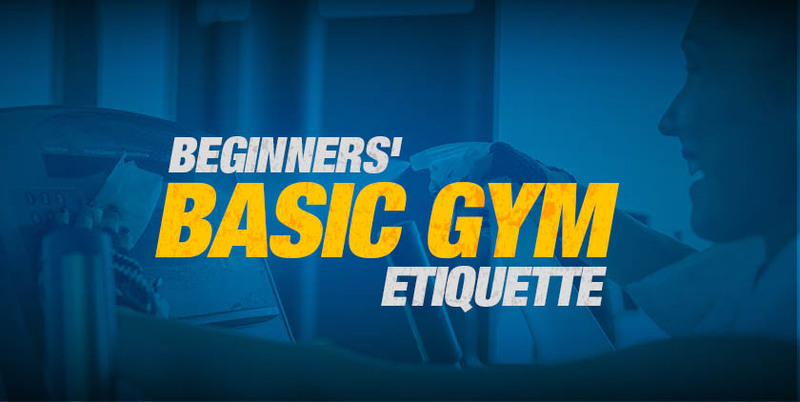 Follow the basic gym etiquette below to help you blend in with the regulars. Sweating is great for you, but no one else wants your sweat on their body. Carry a towel with you everywhere and make sure to wipe up the sweat you leave behind. Unless you have your own private gym, you’re going to have to share the equipment. Refrain from leaving a personal item on something you aren’t using, and simply work in with others who might need it. Same premise as the last rule: be conscious of others working out around you. If someone is waiting to use the machine you’re using, step aside between sets to rest and let them work in with you. This is one of the fundamentals of gym etiquette. Doing kettle bell swings? Chest press with dumbbells? Barbell curls? No matter what you’re using to work out, make sure to put it back where you found it. That goes for plates as well. When you’re finished with your set, re-rack your weights. Leaving it for the next person takes time out of their workout. If you grab a pair of dumbbells off the rack, be sure to step far enough away from the rack that someone else that wants dumbbells has access. Also, be mindful of others and their exercises. Don’t walk directly behind someone doing deadlifts. Don’t walk directly in front of someone doing front raises. No one wants to bump into you and you probably don’t want a dumbbell to the face. Again, be aware of people’s bubble. There’s a reason gyms are covered in mirrors – people like to watch themselves work out. So if you see someone watching their reflection, don’t block their view. If you have to walk in front of them, do it quickly. It’s truly a shame that we even have to include this, yet, as comical as it sounds, people actually do this. As the name implies, the squat rack is for squatting. Other acceptable exercises are overhead presses and benching, but NEVER curls. Curls can be done anywhere, whereas squats are typically only done in the squat rack. If a regular catches you making this rookie move, you’re almost guaranteed to get called out. Unless you need to ask someone a question about sharing equipment or warn them that the building is burning down, don’t make them take their headphones off to talk to you. The gym is first and foremost a place to work, not socialize, and chances are, the headphones are a blatant “do not disturb” sign. There you have it. Eight basic rules of gym etiquette. Follow these guidelines and you can enter any gym with confidence. Not familiar with some of the terms in this blog? Check out our Gym Glossary, another great resource for beginners.